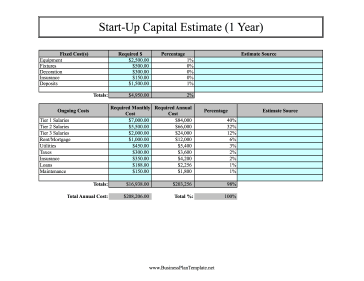 Estimate the amount of capital required for one-time and ongoing costs with this start-up calculator. Covers one year. Users fill in the blue boxes; the rest is calculated automatically.